A career at ICBC is an opportunity to be part of a talented, diverse and inclusive team that is driven to serve its customers and community. Make the most of your skills and take the opportunity to grow and develop your career. You can expect a competitive salary, comprehensive benefits and a challenging work environment. Drive your career with us. ICBC is committed to being an inclusive employer, one that reflects the diversity of the people and communities of British Columbia. 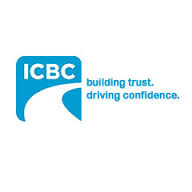 The legal team at ICBC have a number of full time permanent positions for a Paralegal. You will contribute to the success of ICBC as we work to provide the legal defense of personal injury claims and other lawsuits against ICBC and its insured. You will assist lawyers in the preparation, development and handling of personal injury defense files for litigation. Drafting Chambers applications, pleadings including Responses to Civil Claim, List of Documents and Bills of Costs. Reviewing files, identifying legal issues and preparing Chronologies and Mediation Summaries. Interviewing witnesses and preparing statements. Assisting counsel in preparing for examinations for discovery and Trials, including obtaining relevant information/documentation and coordinating with support staff and resources as instructed. Conducting legal research and preparing memoranda as instructed. Providing paralegal support to an assigned group of 2 to 3 lawyers. The ability to be motivated by high volume, a fast paced environment with tight deadlines. The starting salary for the Paralegal role is $53,347. The current agreement between ICBC and the union, MoveUp, contains a salary rise every year for five years on the anniversary of your hire. Automotive insurance carrier. Provides information on autoplan insurance, driver licensing, claim guides, repair tips, and road safety programs.